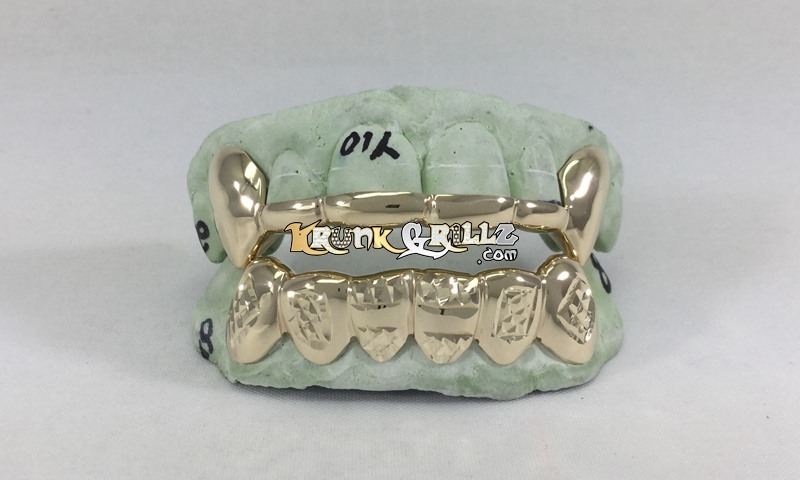 Custom made gold grill with a high polished banner across front teeth, diamond cut edges. 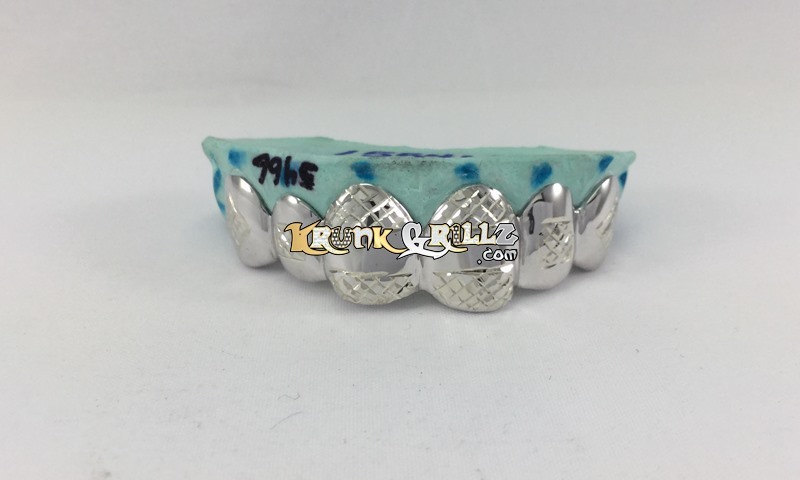 Laterals have a diamond cut box in the center and the fangs have a diamond shaped diamond cut pattern in the center. 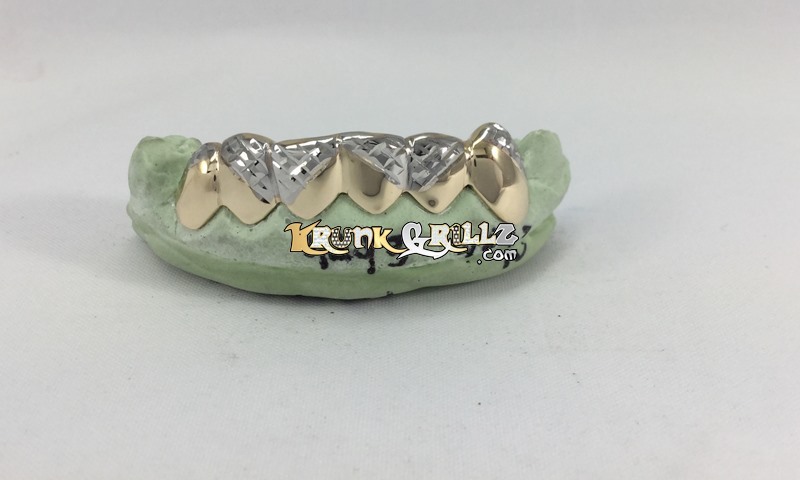 Very intricate grill to make and some patterns may be modified due to the size of teeth being done.